Eleven journalists from Europe, South America and Asia visit Sweden for the Swedish Institute's journalist visit on gender equality and feminist foreign policy - two subjects that are interested in foreign media. 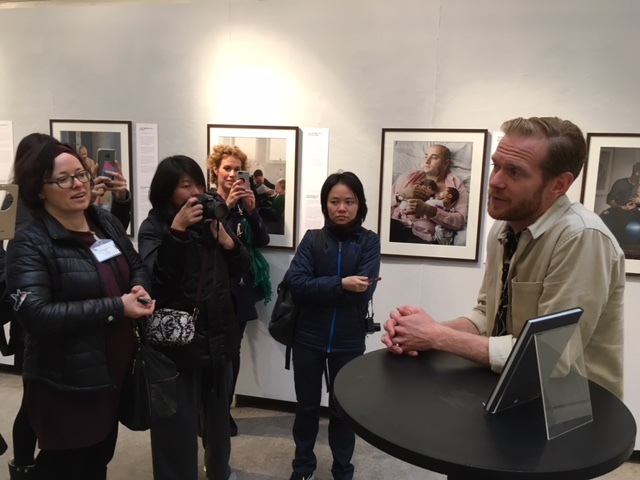 The visit focuses on gender equality from various perspectives: films, childcare and politics, and the visiting journalists will, among other things, will meet the Swedish Minister of Gender Equality Åsa Regner, Swedish photographer Johan Bävman, who photographed SI’s exhibition Swedish Dads and Lina Thomsgård, founder of Rättviseförmedlingen. They will also hear about SVT’s work on gender equality, and meet Ellen Tejle, the initiator behind the A-label within the film industry.. The participating journalists come from Japan, Croatia, Latvia, Peru, Romania, Russia, Singapore, Thailand, Hungary, Vietnam and Zambia.